El Paso is experiencing a premier form of transportation known as the Rapid Transit System, or RTS. Sun Metro broke ground on the first of four RTS corridors, which introduced El Pasoans to a high quality transit service that offers similar benefits to light rail transit, such as improved speed and reliability, but at a much lower implementation cost. RTS uses modern, rubber-tire, high capacity vehicles; improved fare collection systems and controlled traffic signals to move riders more efficiently. Ultimately, Sun Metro passengers using the RTS will not only save money and reduce their carbon footprint, they will get to their destinations faster. This new system is known as the Sun Metro Brio (read about how the name Brio came about). Brio has various amenities, including: uniquely branded 60-foot articulated buses in mixed traffic; a frequency of 10 minutes (peak service) to 15 minutes (off-peak service); stations that are about a mile apart; branded and landscaped stations with improved pedestrian amenities and signal prioritization (lengthen green traffic signals). El Paso's first innovative, faster and more effective transportation option, Mesa Brio, began in fall 2014 with the introduction of the Mesa corridor. This corridor begins at the Downtown Transit Center, travels along Santa Fe, Franklin, Oregon, Glory Road, and Mesa, ending at the Westside Transit Center on Remcon. The Alameda corridor begins at the Downtown Transfer Center and travel primarily along Alameda; and include service to the Five Points Transit Center and Mission Valley Transfer Center. Dyer Brio offers service between Sun Metro's Northgate Transit Center near Dyer & Diana, Five Points Transit Center, and the Downtown Transit Center. 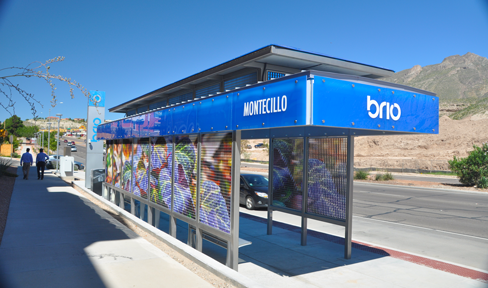 Montana Brio is planned to service the east side of El Paso, offering service along Montana from RC Poe to the Eastside Transit Center and Five Points Transit Center. To board Brio you must be at a designated Brio station. Brio vehicles will ONLY stop at designated Brio stations. Fixed-route buses will NOT stop at Brio stations. 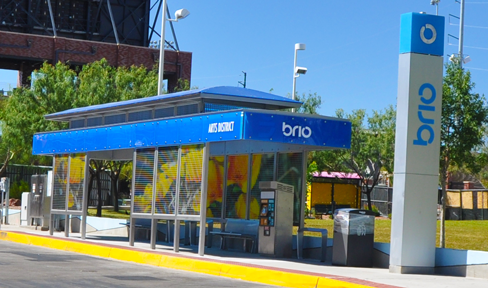 Regular, fixed-route bus stops are located near each Brio station to allow passengers to transfer onto Brio or the fixed route. Buy a one-way trip, a day pass, a weekly pass or a monthly pass from the ticket vending machine located at all permanent Brio stations. 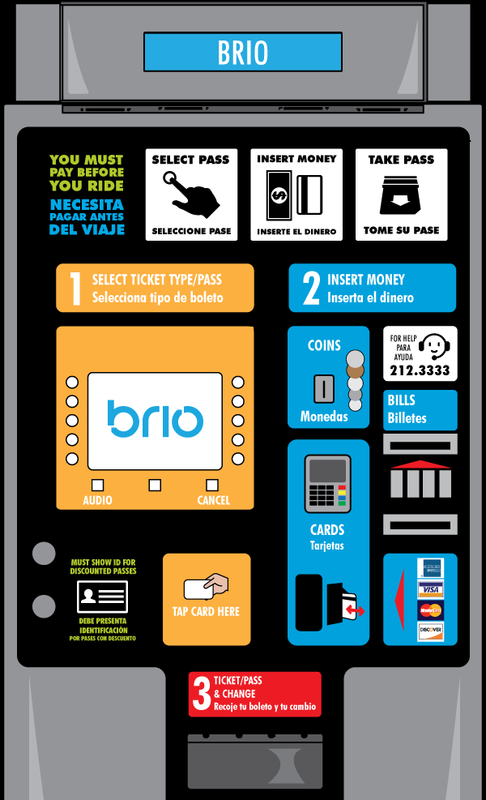 Brio Ticket Vending Machines accept cash and credit/debit cards. 1-ride fare is valid for a single trip on Brio and valid as a transfer to a fixed route. 1-ride fares purchased through the Ticket Vending Machine must be surrendered to the fixed-route driver upon boarding. Brio also accepts passes and transfers from connecting fixed-route buses. Transfer restrictions still apply. Board the Brio bus at any of the three doors. If you are boarding with a bicycle you must board through the back door. If you are using a wheelchair you must enter through the front door. To prevent fare evasion, Brio Ambassadors will be monitoring and requesting proof of payment during your trips on Brio. Please be prepared to show your ticket or pass along with a valid ID if you are using a reduced fare. During the months of October through November, failure to show proof of payment will result in being given a verbal warning and required to pay the fare at the farebox. Effective the month of December, failure to show proof of payment will result in being escorted off Brio and required to pay the fare at the Brio ticket vending machine. Effective the month of January, Sun Metro will implement a graduating fare evasion policy that could include a verbal warning, written warning or transit fines. Use our free Wi-Fi on the bus, read a book, text with friends or just relax. Let passengers exit first, before you board Brio. Do not rush the doors; allow seniors and passengers with disabilities board first. Be a good citizen: Give up your seat to seniors and passengers with disabilities. Board with your bicycle through the back door. Hook your front tire onto the top of the bike rack. Place your rear tire in the slot and wrap the provided strap around the tire. 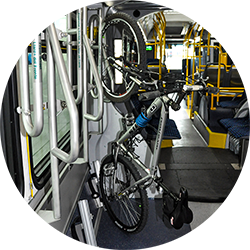 Bike racks are first-come, first-serve; so if the rack or the bus is full, please wait for the next bus. You are responsible for securing and removing your bicycle. Protect others from sharp edges on your bicycle. Select the type of fare you would like to purchase using the screen on the machine. Insert cash, coins or use a debit/credit card. Take your pass/change and prepare to board Brio. REMEMBER: You must be prepared to show your fare and a valid ID—if using a reduced fare—to any Brio Ambassadors during your trips on Brio. Failure to show a valid pass may result in repercussions. Each shelter will also display unique public artwork to enhance the beauty of the facility. 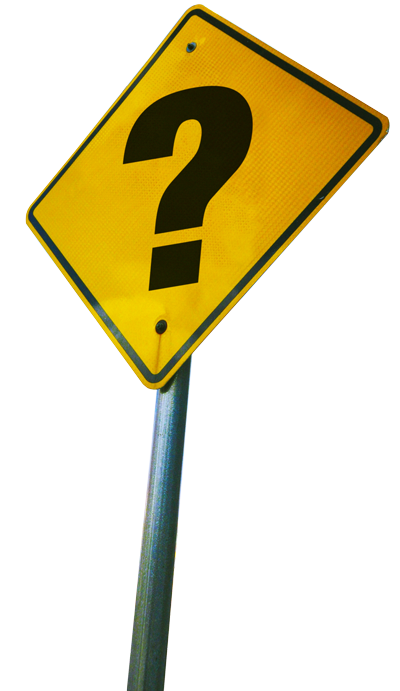 Marketing experts define a company’s brand as more than just a name, a logo, or a design. It is a gut feeling, a set of expectations, memories, stories and relationships that, taken together, account for a consumer’s decision to use a service or product. Sun Metro considers branding an essential element for a successful Rapid Transit System, as it helps to differentiate this high-tech service from Sun Metro’s traditional transit services. A brand is, arguably, the single most valuable asset an organization can possess. But to get to a brand, Sun Metro needed to select a name, a logo and the right color scheme. To obtain the ideal brand for the new RTS, Sun Metro hired PAVLOV, an award-winning marketing communications company. With the company’s guidance, Sun Metro began the branding process by naming the new RTS. After conducting an extensive survey, the community named the upcoming system the Sun Metro Brio. Brio is Spanish for excitement, verve and energy. The naming process first began with a public Mass Transit Department Board working session in October 2011. In November 2011, Sun Metro created a bilingual survey that included a list of four possible names—Brio, Vivo, Corredor and Ándale. More than a thousand people were surveyed at Sun Metro facilities and online. The end result showed Brio taking the majority of the votes. A distinctive logo was then created by PAVLOV to complement the circular nature of Sun Metro’s current logo. The ‘b’ and ‘o’ in Brio are a graphic element that can be used to extend the identity of the RTS system. The two letters reference the wheels on the vehicles. The movement within the logotype also displays the progressive nature of Brio. Beyond the name and logo, Sun Metro has selected a color palette and graphic standards that will help capture the community's attention and ensure the Sun Metro Brio brand is irrevocably fresh and memorable. It is important for Sun Metro and the City of El Paso to support existing businesses during construction of transit projects. 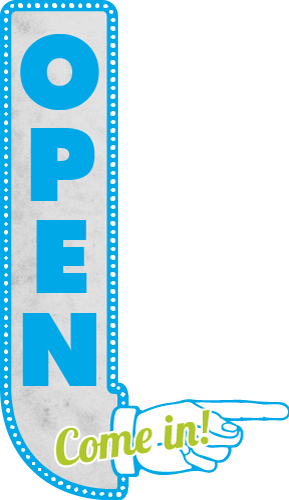 During construction, impacted businesses will remain open and ready to serve our community! While local shops and restaurants will soon enjoy the benefits of having the Sun Metro Brio bring patrons to their storefronts, it is important to shop them now and often to show your support. In order to expedite the Brio improvements, there will be intermittent lane closures throughout the construction period. Driveway access to properties will be available throughout the construction period and the appropriate traffic control measures will be in place. If your business is located along the Sun Metro Brio construction zones, please contact us. Rapid Transit System (RTS), also known as Bus Rapid Transit (BRT), is a high-quality transit service that offers similar benefits to light rail transit, such as improved speed and reliability, but at a much lower implementation cost. How is RTS different from a bus? Bus systems generally lack one or more of the key elements of effective RTS: pay-before-you-board stations, level boarding, and signal priority at intersections. What other features will be included in Sun Metro’s RTS? What are the hours of operation for the Mesa RTS? Hours of operation vary by route. Please see Routes for details. The Brio fare is the same as our fixed-route fare. Is the bus fare going to increase? The fare for the first two corridors is expected to stay at the same price, but a fare increase may need to be implemented with the introduction of the Dyer corridor; however, nothing has been finalized. Sun Metro will host public meetings to get public input before anything is implemented. How do I pay for Brio? BRIO is a pre-pay transit system. All Brio stations and corresponding terminals have ticket vending machines where you will first need to buy your ticket. You can purchase a single-trip ticket, a day pass, a weekly pass or a monthly pass at the Brio ticket vending machine. Once you have your pass you simply board the Brio vehicle through any door. Remember you MUST be prepared to show proof of payment (and a valid ID if using a reduced fare ticket/pass) when asked by any Sun Metro employee. Failure to pay may result in being banned from riding Brio and being fined for fare evasion. Can I pay my fare with a credit card? Yes! Sun Metro is currently working to ensure that all our ticket vending machines will be able to accept credit cards for payment of bus fare. Will this replace my local bus and impact my bus stop? No, the existing local bus system will remain about the same. Minor, if any, changes will be seen; however, we will notify our passengers of any service changes before they are made. Will the regular fixed-route buses stop at the Brio stations? No, the regular fixed-route buses will use the standard Sun Metro stops, which will be located near Brio stations to allow for easier accessibility to both transit services. Will the Brio vehicle stop at fixed-route stops? No, Brio vehicles will only board and de-board at Brio stations; unless there is a detour or safety issue that prevents the Brio vehicle from using the Brio station. 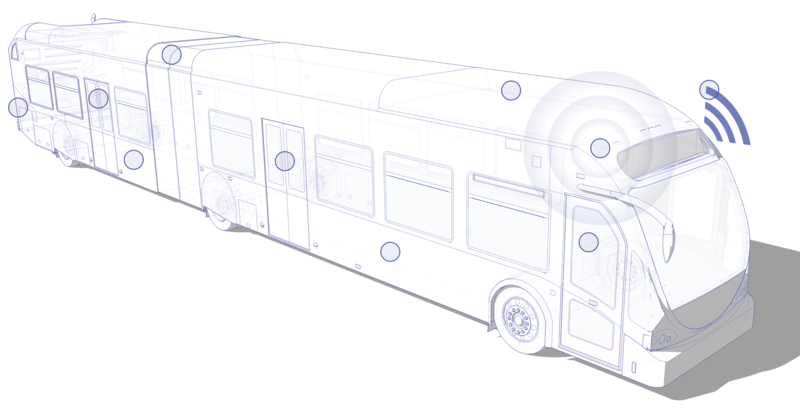 How many people can fit in these 60-foot articulated vehicles? About 48 people can sit comfortably (with two wheelchairs) and another 24 or so can stand. How many 60-foot articulated vehicles is Sun Metro buying? The Mesa corridor will have a total of 10 buses and the Alameda corridor will have 14 buses. What areas/corridors will the Sun Metro RTS travel along? El Pasoans will see this innovative, faster and more effective transportation option in 2014 with the introduction of the Mesa corridor. This corridor will begin at the Downtown Transfer Center, travel along Santa Fe, Franklin, Oregon, Glory Road, and Mesa, ending at the Westside Transfer Center on Remcon. The second corridor will be Alameda. Construction on Alameda is expected to begin in spring 2015 with completion in summer 2016. Alameda will begin at the Downtown Transfer Center and travel primarily along Alameda; and include service to the Five Points Transit Terminal and Mission Valley Transfer Center. Dyer and Montana, the third and fourth RTS corridors, are expected to be operational in 2017 and 2019, respectively. Why is Mesa first, why not Alameda? The Alameda corridor was selected to be the first corridor by the Mass Transit Department Board; however, the Federal Transit Administration, which is funding 50 percent of the Mesa corridor, pushed the timeline ahead for the Mesa corridor which flipped the timelines. How much will this cost and who will pay for it? The Mesa Brio RTS corridor will have a total cost of about $27.1 million, and of this total cost $13.5 million will be funded by the Federal Transit Administration (FTA). Another $6.1 million will be funded by the Texas Department of Transportation. To show the Federal Transit Administration the seriousness of El Paso’s commitment to RTS, Alameda will be 100 percent locally funded and is expected to cost about $35.5 million. Alameda will be 100 percent locally funded and is expected to cost about $35.5 million. The Dyer corridor is projected to cost $35.7 million, with an anticipated $20.4 million in FTA support. The fourth corridor, Montana is expected to cost $43.3 million, with an anticipated $25.7 million in FTA support.